Home > Marketing > How do I resume newsletter subscription for autostopped email addresses? Q.How do I resume newsletter subscription for autostopped email addresses? If newsletter emails sent to a given email address result in errors 3 times, delivery of newsletter emails to this email address will be stopped automatically. To resume delivery of newsletter emails, navigate in your Shop Manager to Marketing → Newsletter recipients or Marketing → Member group recipients, depending on which type of newsletter has led to the stoppage. On this page, you'll see a list of email recipients. 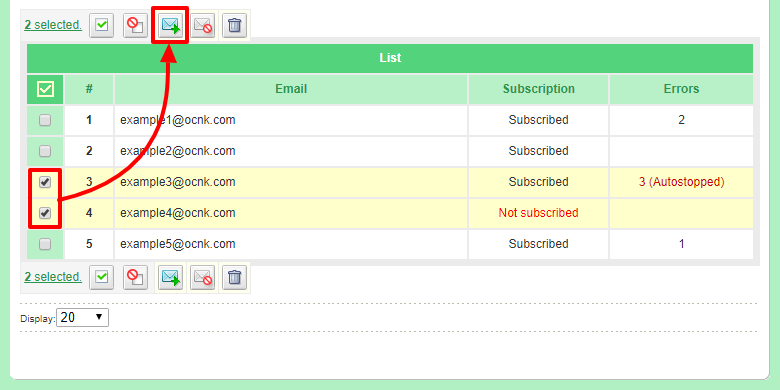 Email addresses to which delivery has been automatically stopped will be highlighted with a colored background, and the Errors column will state 3 (Autostopped). Select the email addresses you wish to resubscribe, and click the button. 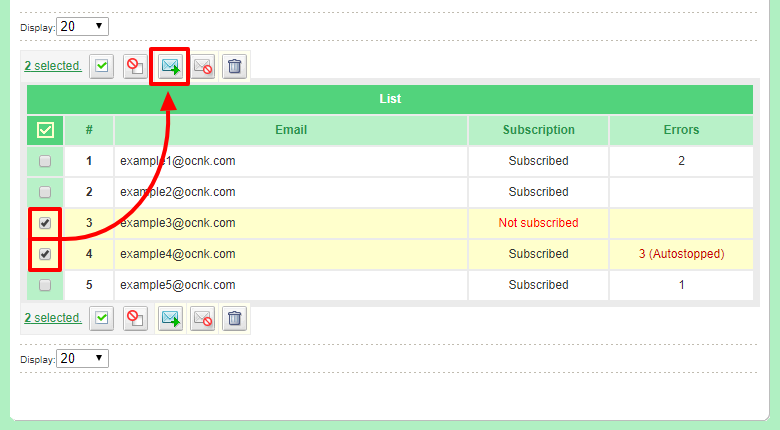 This will clear the error log and resubscribe the email addresses. This can also be applied to email addresses that have been manually unsubscribed.